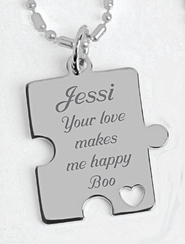 Your personalized stainless steel puzzle jewelry pendant features a puzzle piece design with a high polish finish. Engraved necklace makes the perfect gift. 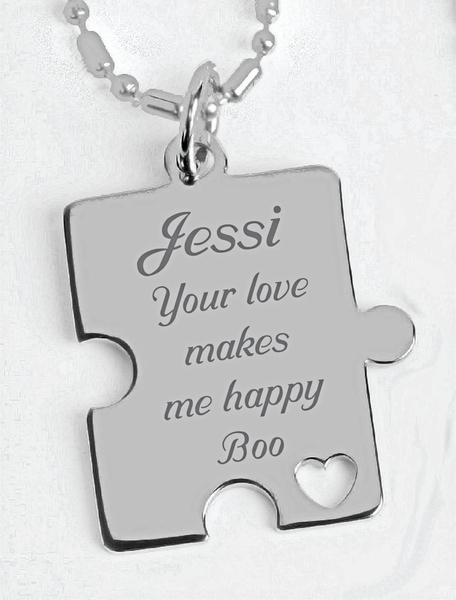 Show your love, best friends, couples, or just the one you missing, with this Puzzle Pendant. The interlocking puzzle piece pendant is made from a high polish 316L Stainless Steel treated with Chromium for extra protection which gives them a cool reflective shine. This corrosion resistance necklace can be personalized with the name or text choice on each individual pendant. 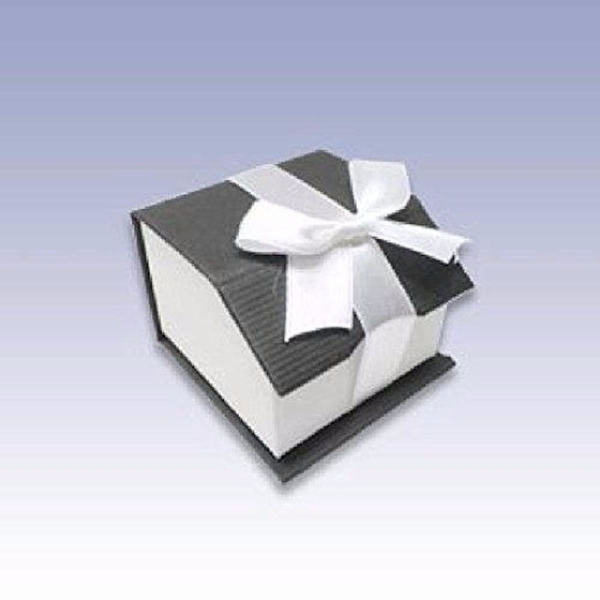 Great as a gift to someone special, or for keeping to yourself until you find your missing piece. The pendants includes durable stainless steel chain.